Language Australis employs a team of expert linguists who can effectively and accurately translate a range of documents from Korean to English and English to Korean. Like most Asian language translations, a professional Korean translation requires the skill set of a specialised linguist who has the right dialect and localisation abilities; this is why our Korean translators are all native speakers of their language. When you choose Language Australis for your next Korean translation, you can rest assured that you will be receiving an affordable and reliable translation service. Our expert translators are highly skilled so that they can effectively translate any document whilst still upholding the integrity of the original document. At Language Australis, we are confident that you will receive the best and most professional work and prompt results all at the most competitive prices. 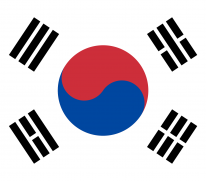 Why choose Language Australis’s Korean translators? The Korean translators and expert linguists at Language Australis are all accredited by the National Accreditation Authority for Translators and Interpreters (NAATI) so no matter what you need translated, you can be assured that you will be receiving the highest quality and the most authentic Korean translations. As all our Korean translators are NAATI certified, the translations that they provide can be used for official purposes across Australia. These official documents include road authorities, universities and legal institutions. With our extensive team of qualified translators specialising in the Korean language, we are able to help you in translating information such as court documents, birth certificates and business data to deliver the most accurate translations. If you need NAATI-certified Korean translators who have in-depth knowledge and experience in the industry, then Language Australis’s team of highly skilled translators can help you. At Language Australis, we’re dedicated to providing expert Korean translation for clients around Melbourne and the rest of Australia. If you would like advice, a quote or to book an appointment regarding Korean translation, please contact our office, located in Malvern East. You can do so by calling us on (03) 9571 2227, by emailing us at lingo@languageaustralis.com.au, or by using our online contact form. Before thinking of having your documents translated by Korean translation specialists, why not discover a little more about the language itself? Korean is the official language of both South and North Korea although there are differences in alphabet and vocabulary between the two. Around 72 million people speak Korean on the Korean peninsula and several million in Japan and China. There are many dialects in Korean, developed through the separation of different areas and isolation from each other. Like the Vietnamese language, Korean was originally written in Chinese characters though they were not in line with Korean pronunciation and grammar. Hangeul, the name of the Korean alphabet, was developed in the 15th century and designed to be easy to learn. All the consonants take on the shape of the mouth when saying them. The Korean alphabet comprises 24 characters, of which 10 are vowels. Sounds like Z and F don’t exist in Korean. What distinguishes Korean from other languages is its dual counting system. One counting system is based on Chinese characters and the other on words that are unique to Korean. Another distinctive feature of the Korean language is its adaptation of language according to the social position of the speaker, the person being spoken to and the person being spoken of. The seven speech levels in Korean have their own verb endings, used according to the level of formality required.